Recovering from a sports injury isn’t fun- particularly when you really want to get back out and keep training. But recovering correctly will ensure you recover fully and you don’t end up plagued by injury in the future. Read on to learn how you can recover from a sports injury and move on with your life (and your training). There’s a difference between being hurt and being injured, often, you’ll think you can “man up” (or “woman up”) when you’re hurt. But you’ll know you’ve been injured when the pain isn’t going away or is getting worse. You can walk off a little soreness, but you should never try to walk off real pain. When you understand what happened, you’ll be able to avoid further injury during your rehab. This will also help mentally, as you’ll find that sports injuries can really impact your level of confidence. Once you know how you became injured, you can take steps to ensure you don’t do it again. Unless you’re a sports doctor, you’ll need help so you can know how to recover the right way and how to build strength back up in that area without causing further injury. That’s why it’s a good idea to get in touch with a sports podiatrist Sydney. They’ll also correct muscle imbalances and bad movement patterns which may have led to your injury to prevent you from further injuries. Cold therapy is one of the best ways to help yourself recover from a sports injury. But most of us don’t do it often enough or for long enough periods. There are a number of cold therapy machines available, or you can stock up on ice packs and ensure you’re cooling down your injury site- especially after physical therapy. Once you shake off feelings like loss and sadness, staying positive will help you focus on your future potential. Focus on what’s happening now, but set small goals for yourself based on your healing. That means attending physical therapy, doing your exercises, and listening to professional advice. If you’ve sidelined other hobbies while you’ve focused on a particular sport or training regimen, now you have the perfect opportunity to spend more time doing the other things you love. Take time to hang out with friends and family, and meet your teammates or gym buddies for an after-workout beer or coffee to keep in touch. 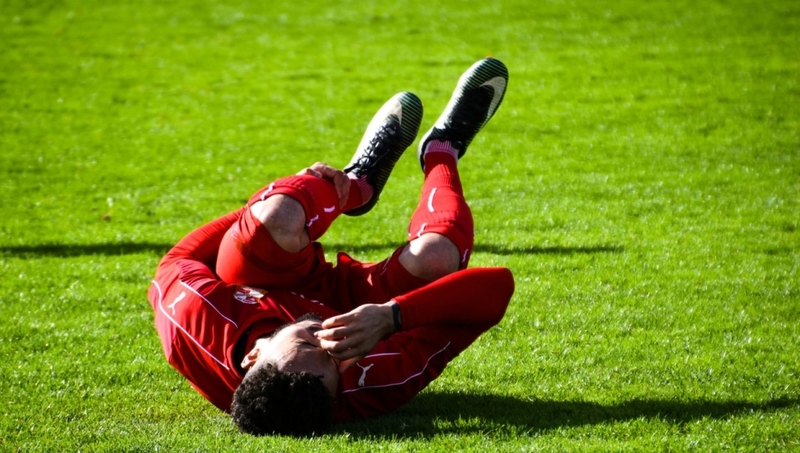 What are your tips for recovering from a sports injury?